How to Train a Dragon 3 Hidden world movie poster. 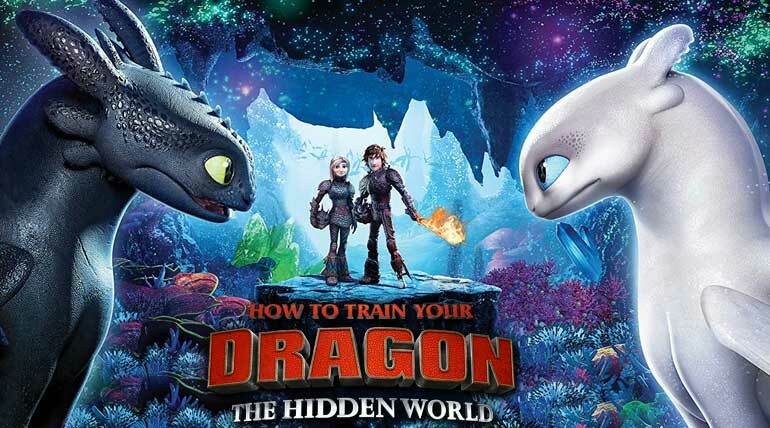 Hollywood sequel How to train a dragon 3: Hidden World released worldwide today in 3D. The first part of the film was all about the introduction of Hero and Night Fury (toothless) changed the trend of dragon movies not attracting the kids back in 2010, with some funny dragon characters. How to train a dragon was a super HIT and made huge box office collections with high critical acclaim back in 2010. The second Part of How to train a dragon got even more adventures with 2 WILD Dragons. Hiccup character became an adult and moved towards clumsy action in the sequel which released in 2014 and was bigger global hit than the prequel. The third part of the film released today in India in English and 3 regional languages (dubbed) Tamil, Hindi and Telugu. The English version of How to train a dragon 3 released on most of the Plexes while single screens opted for regional languages. 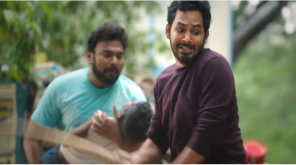 The Movie got positive reviews and good reports from the audience but theatres saw minimized crowd everywhere due to various reasons and the weekend is expected to have a rise at the box office. One of the popular piracy website Tamilrockers leaked How to train a dragon 3 prints online illegally. The site leaked the film in English and Tamil version which will spoil the collections. Since kids out here might go for a pirated watch online, watching 3D animation movies in theatres will give better feeling than piracy prints, Kindly watch in Big Screens.